Beginners lessons: We provide wide, stable boards and small, trainer sails to give everyone a chance to get up and sailing on their very fast. Windsurf lessons are offered every day of the year, with reservations, starting at 9:00 am and finishing at 17:00 pm. 1 lesson = 1 hour …… 150 R$. Advanced Lessons: With the best teachers of Jeri you can practice beach start, waterstart, harnessing, getting in the foot straps and planning jibes. 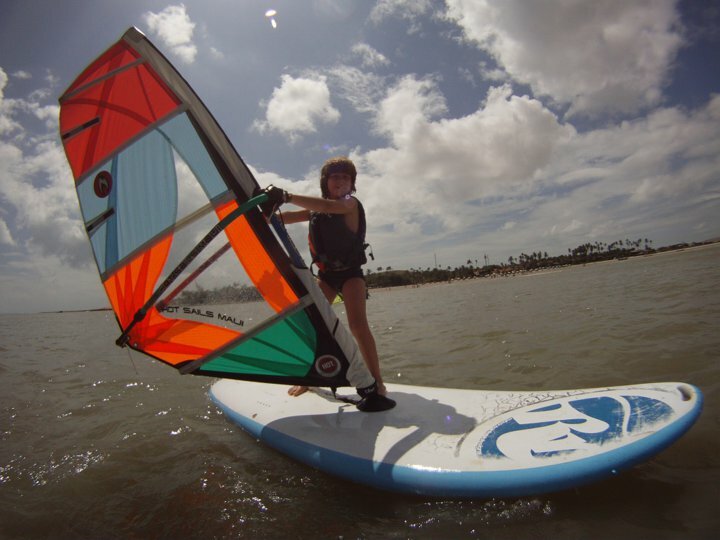 All sizes of boards, sails and harnesses will be available, allowing for a quick progression of new skills. Kids lessons: Start from 6 years old to 12 years old. 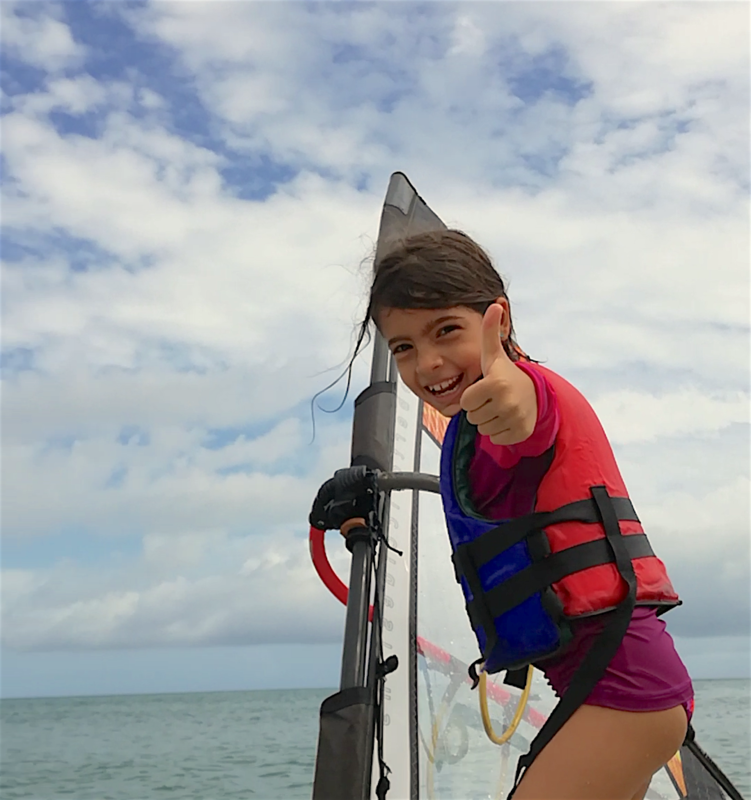 We provide small sails and stable boards that are made for kids and we usually make classes in the lagoons or in the small lake in front of the center to offer the easyer condition where everybody can learn windsurfing and have fun in the same time!